PALO ALTO, CA--(Marketwired - October 29, 2015) - Rede, a subsidiary of Itaú Unibanco, and Poynt Co. ("Poynt"), maker of the world's first Smart Payment Terminal, today announced an exclusive partnership that will make the Poynt Smart Terminal available to millions of merchants in Brazil beginning in 2016. The news comes as global demand increases for the Poynt Smart Terminal, the only fully-certified Smart Terminal with an open developer platform on the market today. The partnership with Rede ensures that Brazil will be the first country outside of the U.S. to offer Poynt devices. "Brazil has a very sophisticated payments market, truly one of the most advanced in the world. This makes it the ideal country for us to introduce the Poynt Smart Terminal internationally," said Poynt founder and CEO, Osama Bedier. "We are thrilled to be working with such an incredible partner in Rede and to help the country continue to push the boundaries of what's possible in payments and commerce." "This new partnership will allow Rede to offer a pioneering and innovative solution for electronic payments in Brazil. We will provide applications to improve the shopping experience through the Poynt Store, build a cloud connection to the countertop, and develop enhanced services to create new revenue streams for the merchants and offer more convenience for the customers," said Milton Maluhy Filho, CEO of Rede. "The Brazilian payments market is constantly evolving. Poynt and its innovative products fit perfectly into our strategy of enhancing the use of the many payment types in region and help us serve the needs of our clients even further." 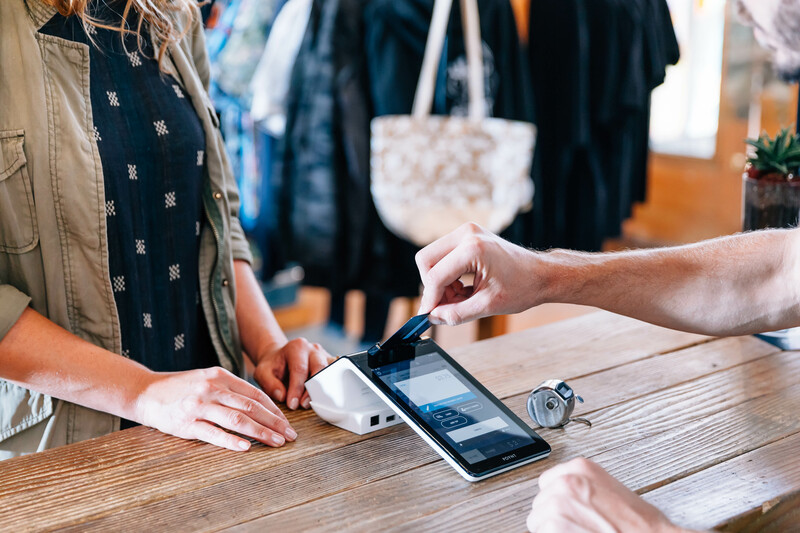 The Poynt Smart Terminal combines the unlimited versatility of mobile devices with the latest payments technology in a future-proof multi-purpose device. Part of the benefit behind this innovative new solution is it allows merchants to manage their businesses electronically and directly through the terminal and the web. It is the only payments device built from the ground up to accept all payments methods relevant for the next decade -- traditional magnetic stripe cards, EMV (chip and PIN), NFC, QR code, and beacon. It is also highly scalable so that it can satisfy a diverse range of requirements for merchants of any size, and its developer platform ensures merchant users will never again have to worry about upgrading to accommodate whatever innovative technology comes next. The global appeal of the Poynt Smart Terminal centers around the combination of future-proof payment technology coupled with the opportunities the device creates as a delivery mechanism for additional software and services down to the merchant. To learn more about the value Poynt will deliver to Brazilian merchants, please visit poynt.com. A company in the Itaú Unibanco conglomerate, Rede (www.userede.com.br) is responsible for acquiring and processing credit and debit card transactions for the largest Brazilian and international card brands. It offers its clients a range of products and services for enhancing the performance of their businesses such as online means of payment solutions, anticipating receivables, providing terminals, management reports, among others. Consequently, it works in a network, connected to the future and all that is of interest in moving consumption. Poynt has reimagined the payment terminal as a smart, multipurpose device. With the Smart Terminal and PoyntOS, Poynt helps any business access incredible technology at an affordable price. Founded in 2013 by Google and PayPal veteran Osama Bedier, Poynt is headquartered in Palo Alto, California and is backed by Matrix Partners, Oak HC/FT Partners, Stanford-StartX Fund, Webb Investment Network, Nyca Partners, Google Ventures and other individual investors. Find out more at poynt.com.